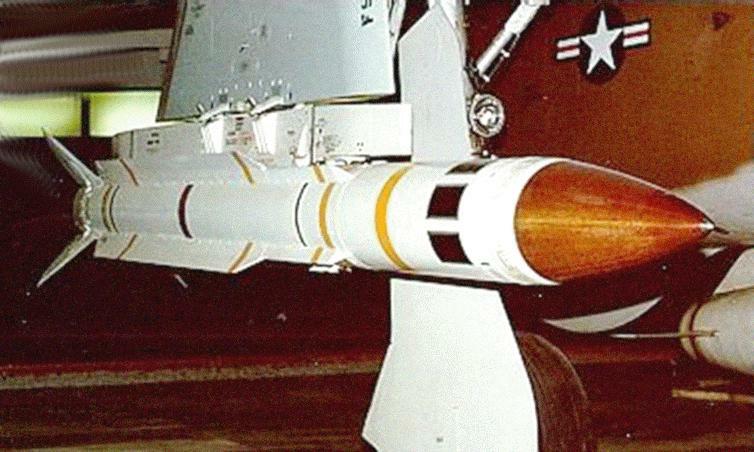 Developed originally for the U.S. Navy, the AGM-78 was used extensively by the USAF during the Vietnam War to destroy North Vietnamese radars that controlled antiaircraft guns and missiles. Launched from F-4G or F-105G "Wild Weasel" aircraft outside the range of enemy radar defense, the missile guided on the radar energy emitted by the target. 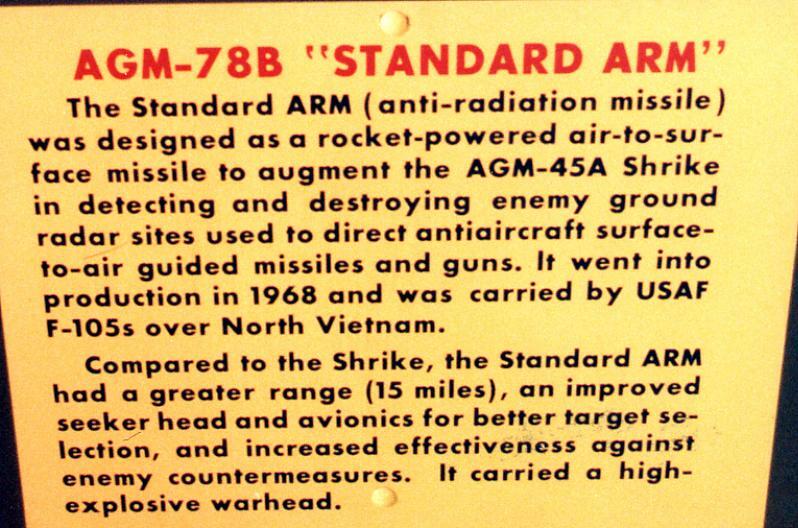 Production began in 1968 with a view to providing an improvement in the capability then existing with the AGM-45 Shrike. 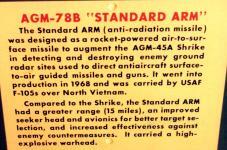 In fact, the first Standard ARMs were equipped with the passive homing, target seeking head of the Shrike antiradiation missile (ARM). 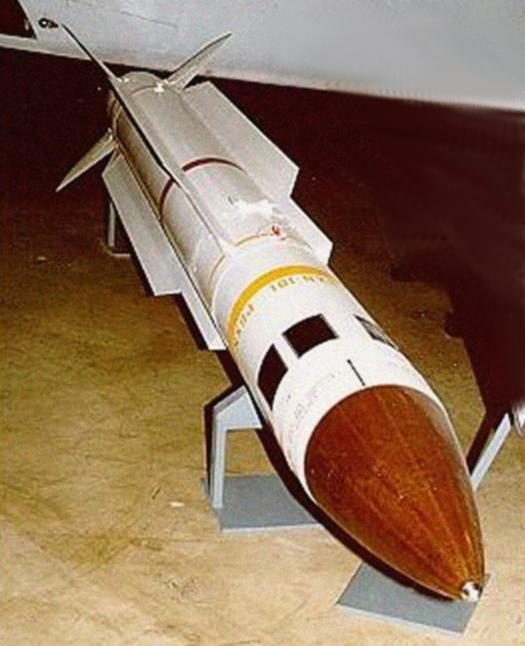 Successive improvements led to three more models, with better seekers, electronic counter-countermeasures, and increased range. About 700 were built when production ceased in 1978. 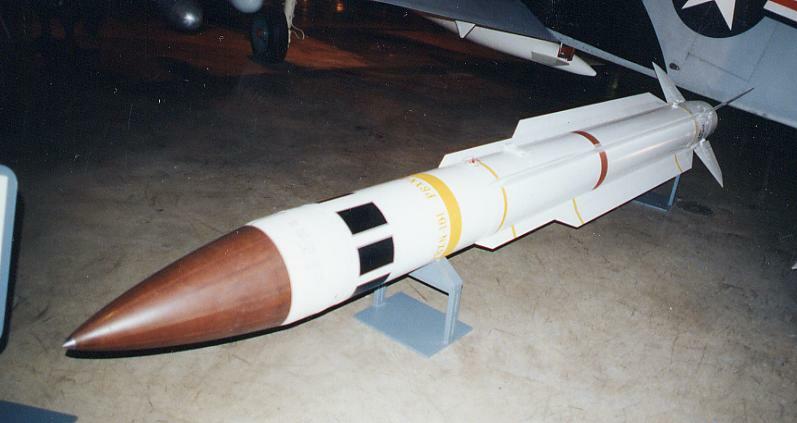 Some versions not only detonated a warhead for destructive purposes, but also marked the spot with red or white phosphorus smoke. 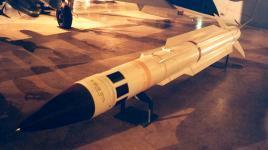 The F-105G carried up to two, each on a specially designed LAU-78 launcher; the F-4G carried up to 4 missiles. 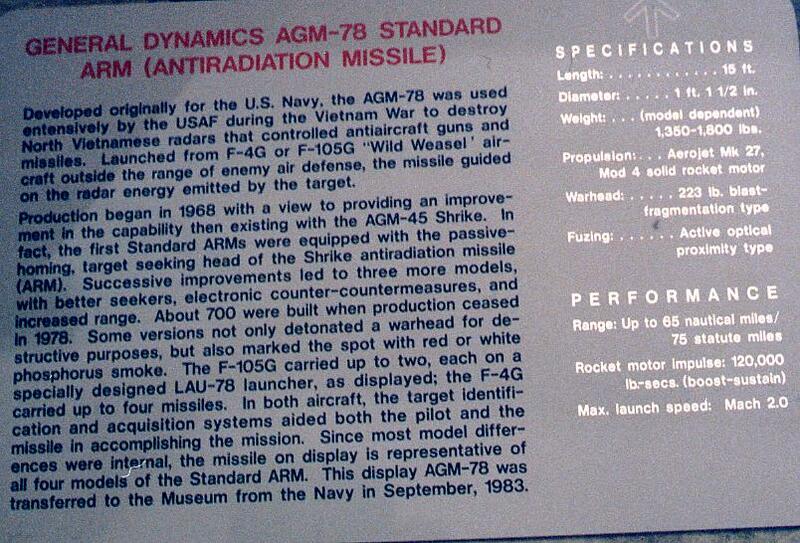 In both aircraft, the target identification and acquisition systems aided both the pilot and the missile in accomplishing the mission. 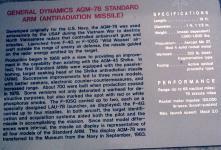 Diameter 1 ft. 1 1/2 in. 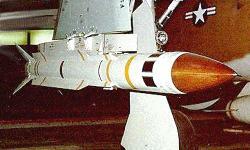 Weight (model dependent) 1,350-1,800 lbs.